Two county Councillors who featured in an undercover investigation have been found to have contravened ethics laws during the secretly filmed meetings with a fictitious company. The Ethics' investigations were triggered following the broadcast of an RTÉ Investigates - Standards in Public Office programme in December 2015. This featured secretly recorded meetings with three sitting councillors who believed they were having confidential talks with potential investors in wind farm projects. 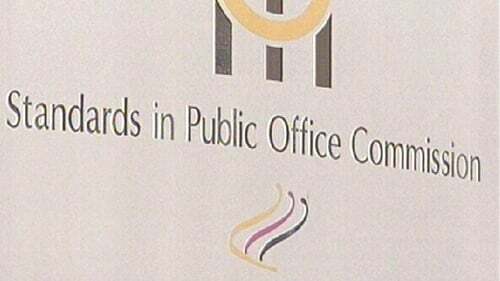 Following public hearings in September 2018, the Standards in Public Office Commission today found against Independent Donegal County Councillor John O'Donnell in all three of the allegations levelled at him. And it said what he did was intentional - "the highest end of the spectrum" in its assessment of any breach. It said Cllr O'Donnell offered to provide significant assistance to potential wind farm investors in exchange for a financial reward, agreed to work as a member of a local authority on the promise of a future payment by investors and that he failed uphold the Code of Conduct for Councillors. SIPOC said he committed these offences intentionally and that he did not act in good faith. The SIPOC also found against Sligo County Councillor Joseph Queenan on three of the four allegations he faced. The Commission decided that he had recklessly agreed to help the fictitious company in return for a financial reward not upheld the Code of Conduct in his dealings with the undercover reporter. It also said he had negligently failed to properly declare his interests to the Council. However, it said it was not satisfied that he had looked for money to do his job as a councillor. In relation to his contraventions the SIPOC report said "The Commission finds that Councillor Queenan did not act in good faith when he recklessly engaged in conduct in contravention of various provisions of the Code of Conduct for Councillors". Earlier this month, Cllr O'Donnell failed in his bid to join this High Court action and put SIPOC's inquiry into his actions on hold. The Commission has sent copies of the two reports to Councillors, the Cathaoirleach and Chief Executive of each Council and the Minister for Public Expenditure and Reform.